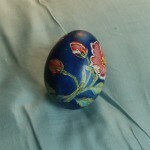 For the past four years Julia has dedicated the entire week before Easter to making pysanky eggs. She clears off her dining room table, sets out dozens of handblown hen and goose eggs, 12 or more dye baths and saucers with candle sticks all lined up and ready to play! She has her friends over all throughout the week to decorate eggs. Julia says, “it is interesting to see what designs people come up with. 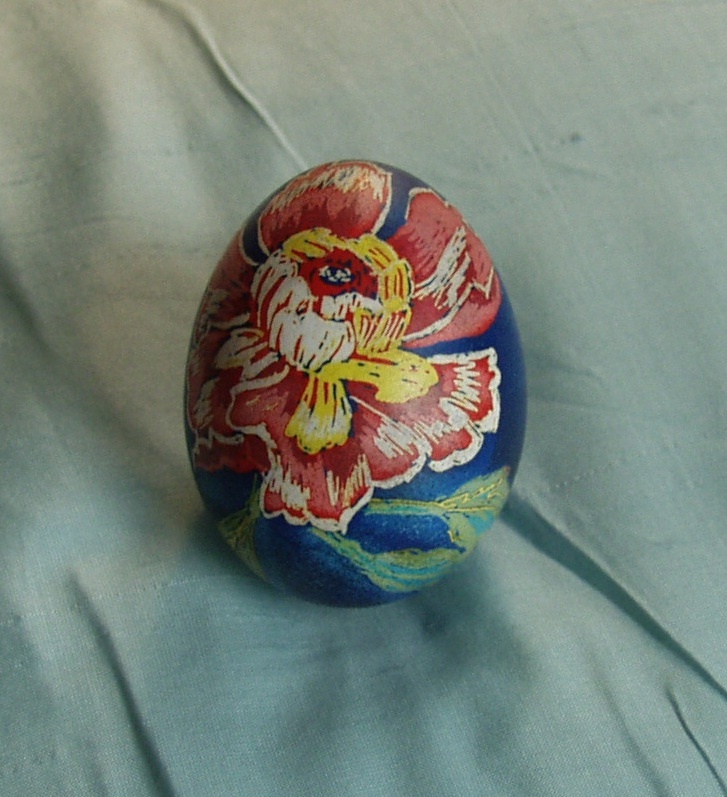 And those friends who claim to have no artistic ability or inclinations at all end up with beautiful eggs!” Julia has all sorts of books stacked-up near by for inspiration, from insect illustrations, to textiles and traditional pysanky designs. 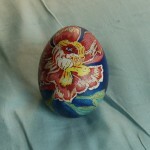 While we were getting started, just drawing our designs on the eggs with pencil, Julia’s husband, Chip, was in the kitchen baking. From all of the eggs Julia blew out, they made four quiches, and they were delicious!!! If I am not able to make the trip to Western New York next year, I may have to start this week long tradition at our home in Boston. I brought a Russian textiles book with me for inspiration. 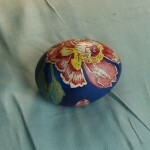 The design on this egg was inspired from a textile in that book. (Sorry, I left the book at Julia’s house and I don’t know the page number.) The process can be long, but the results are pretty amazing. 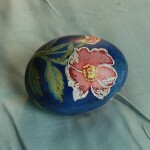 I have been inspired, and I am going to try glazing my pottery in a similar manner, with a colored background like this egg.